Belt Brush are made with leather or sandwiched in leather and plastic. These brushes are also made with timing belt. These are flexible based brushes fitted with synthetic or natural filament depending on the applications. Some brushes are around 4 to 6 meters long application areas include biscuit industries or applying powders over playing cards, glass washing etc. 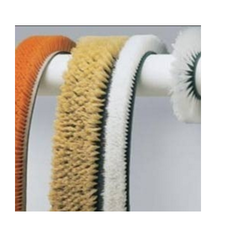 In our wide range of products, we are best in supplying best quality collection of Machine Nylon Brush Belt that are designed for used for brushing irregular or uneven surfaces. 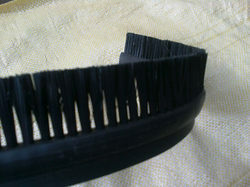 WE ARE LEADING MANUFACTURER OF NYLON STRIP BRUSHES.OUR PRODUCT RANGE IS BEST IN ALL OVER MARKET. We are remarkable enterprise, involved in offering superior quality Belt Brushes. Artis Facility Management Pvt. Ltd.